Closed-door testimony by former top FBI lawyer James Baker revealed that Michael Sussmann, a lawyer and partner at Perkins Coie, gave Baker information alleging a Russian bank was communicating with a server in Trump Tower—an allegation later proven false. 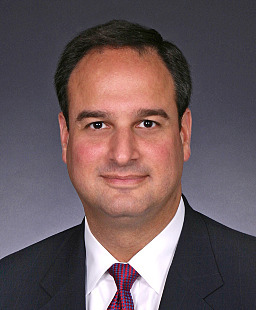 Sussmann, whose firm had been retained by the Democratic National Committee (DNC) and Hillary Clinton’s 2016 presidential campaign, provided information to Baker and at least one journalist ahead of the FBI’s application for a FISA warrant on Trump campaign foreign policy advisor, Carter Page. Perkins Coie was also the law firm who had hired Fusion GPS—on behalf of the Clinton campaign and the DNC—which in turn hired former British MI6 agent Christopher Steele to produce the dossier that has become known as the Steele dossier. Sussmann’s identity as an outside source to Baker had previously been reported. But new details regarding the specific information that Sussman provided to Baker, their interactions and timing, along with the FBI’s response were revealed in Baker’s testimonies. Rep. Meadows: And who was that? Mr. Baker: Who was that? Sussmann had sought out Baker directly, going so far as to make an appointment in advance. As the FBI’s general counsel, Baker advised senior FBI leaders, including FBI Director James Comey and Deputy FBI Director Andrew McCabe, on the legal aspects of key investigations and served as the liaison with the Department of Justice (DOJ). Rep. Jordan: And people are going to take seriously when the FBI general counsel has some source giving them information related to a pretty darn important investigation, they’re going to take that pretty seriously and follow up on it. Mr. Baker: Within the organization, the Bureau? Mr. Baker: Yes, I would say so. During their initial meeting, Sussmann told Baker “he had cyber experts that had obtained some information that they thought they should get into the hands of the FBI.” Who these “cyber experts” were and where they got their information was not disclosed. Mr. Baker: It was like — my recollection was it was a stack of material I don’t know maybe a quarter inch half inch thick something like that clipped together, and then I believe there was some type of electronic media, as well, a disk or something. Sussmann, whose Perkins Coie bio describes him as “a nationally-recognized privacy, cybersecurity and national security lawyer,” was also the lawyer the DNC turned to on April 28, 2016, after discovering the alleged hack of their servers. Immediately following the alleged discovery, DNC CEO Amy Dacey called Sussmann at Perkins Coie. After speaking with Dacey, Sussmann contacted Shawn Henry, CSO and president of cybersecurity technology firm CrowdStrike. Sussmann was never interviewed by the FBI, which Baker found surprising, noting “It is logical to me that we would go back and interview [Sussmann].” Sussmann was interviewed by the House Permanent Select Committee on Intelligence on Dec. 18, 2017. After some interjection by the FBI lawyer from Baker’s old division, the Office of General Counsel, Baker acknowledged the information Sussmann brought to him did indeed relate to the FBI’s Trump-Russia investigation. Baker was asked whether this meeting with Sussmann occurred “before the election or after the election?” Baker noted that he thought it occurred before the election. From there, his memory became less clear. During Baker’s second day of testimony, lawmakers came to the interview with Baker’s calendar in their possession and provided an initial meeting date between Baker and Sussmann of Sept. 19, 2016. This date would later prove to be significant. According to Baker’s testimony, there appears to have been at least three meetings—the first in person and at least two subsequent meetings by phone. Rep. Jordan: [This] is the first time and to your recollection the only time an outside counsel had information and was wanting to make sure it got to the general counsel of the FBI, and it happened to deal with the Russia investigation. In either the second or third conversation, Baker came to understand The New York Times was also in possession of Sussmann’s information. As would become clear later, other members of the media also had this same information. Rep. Jordan:[And] the people who asked you to make that call back to Mr. Sussman and ask him, you know, to delay, who were those people? Rep. Jordan: Strzok? Peter Strzok? Baker: It may have been, but I am also thinking it was the director and/or the deputy director. Mr. Baker: Some combination of those people in a set of conversations over some period of time, yes. I know that is vague. I apologize, but that is what I recall. Baker made several mentions of McCabe but also noted Comey’s involvement during his testimony, telling lawmakers “we briefed him on it.” Notably, Baker said he didn’t “remember Lisa [Page] being involved in this part.” Interestingly, the texts between Lisa Page, who served as McCabe’s personal counsel, and FBI agent Peter Strzok make it appear as if they were jointly involved in most facets of the various investigations. Rep. Jordan: It talks about some bank in Russia, Alfa-Bank, communicating with some Trump financial institutions in the server there. None of that kind of conversation was related to you by Mr. Sussmann when you met? Baker: Oh, yes. I mean, that is what he told me about. Yeah, absolutely. After consultation with FBI legal counsel, Baker said he would describe the information he received from Sussmann in a general sense. Baker was describing alleged communications between Alfa Bank and a server in the Trump Tower. These allegations, later proven to be false, became the subject of much media speculation. On Sept. 23, Michael Isikoff of Yahoo News published his article on Carter Page, “U.S. Intel Officials Probe Ties Between Trump Adviser and Kremlin.” His article, which came from information provided by Steele, would later be cited by the FBI in the Page FISA application. The same day, Hillary for America released a statement touting Isikoff’s “bombshell report” with the full article attached. The information that Sussmann provided to Baker on Alfa Bank’s alleged communications with a Trump Tower server was later detailed in a since-debunked article by Slate, “Was a Trump Server Communicating With Russia.” The article, which was published on Oct. 31, 2016, concerned allegations regarding a server in the Trump Tower that had allegedly been communicating with a server at Alfa Bank in Russia. Both the FBI and The New York Times found the allegations to be unfounded. Nevertheless, the article was used in the promotion of the Trump-Russia collusion narrative. “In classified sessions in August and September, intelligence officials also briefed congressional leaders on the possibility of financial ties between Russians and people connected to Mr. Trump. They focused particular attention on what cyberexperts said appeared to be a mysterious computer back channel between the Trump Organization and the Alfa Bank, which is one of Russia’s biggest banks and whose owners have longstanding ties to Mr. Putin. All three articles came out on Oct. 31, 2016, including The New York Times article. Recall, the The New York Times had been asked to refrain from publishing while the FBI was investigating the matter. Which begs the question, were the authors of these other two, highly-coincidentally timed articles also asked to delay their publication? It certainly seems as if all three were given the green light at the same time. This raises the question of whether Sussmann was also leaking to Franklin Foer of Slate and David Corn of Mother Jones. Or whether Fusion GPS co-founder Glenn Simpson, whose firm had hired Steele, was acting as a conduit to these individuals. It’s possible another explanation exists for the same-day publication of all three articles, but the concurrent timing, along with details from Baker’s testimony, appears to suggest otherwise. With this statement from the Clinton campaign, combined with the Slate article and the Corn article, the Alfa Bank story took off—despite the same-day story from the New York Times, which specifically noted the FBI had investigated that matter and found nothing untoward. 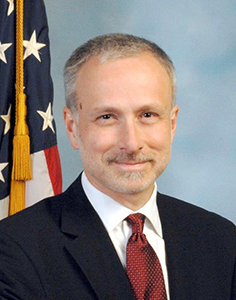 Sussmann’s decision to choose Baker as his FBI contact proved highly effective.